Champion Carpet Cleaning - Want The Cleanest Air Possible? Want The Cleanest Air Possible? 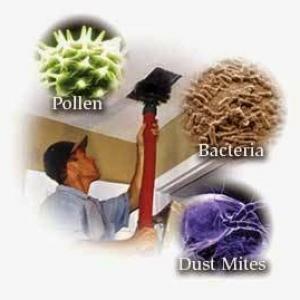 Cleaning your air ducts help remove pet dander, pollen, dust, allergens & bacteria from within the homes suppy vents. 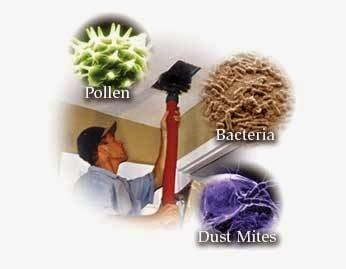 The Heating and cooling systems, are the lungs of your homes furnance and they should be kept clean of dust, dirt & mold spore. Champion technicians visually inspect your system to help insure proper air circulation through the trunk lines & returns to help keep clean your filter pad. Along with the supply and return ductwork our technicians will clean the A/C coil, condenser drain pan, filters and chamber area of the furnace. 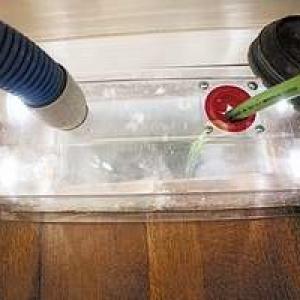 Cleaning a dryer vent improves the safety and efficiency of your dryer. Also helps dry your clothes alot faster. Clogged dryer vents can cause a household fire or escalate levels of carbon monoxide. Freeing your dryer vent of lint and debris can reduce drying times, increase energy efficiency, extend the life of your dryer, and also most importanatly help keep your family home safe from a fire. 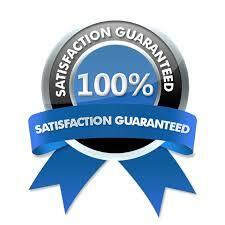 100% Satisfaction Guaranteed With A Free 1Year Warranty! Prevent the risk of a house fire & dramatically cut down on drying time. Drying time seem to double or triple when a vent is clogged. Champion specializes in all types of dryer vent cleanings, from commerical to residental. Champion can do it all and with a free 1 year warranty, theres no reason to call anyone else. Dryers are extremely hot and can cause burning odors, so before they become dangerous, let us clean maintain your home. Its often recommened that you have your dryer vent cleaned every 1-3 years. So if your flap does not open its time to clean!